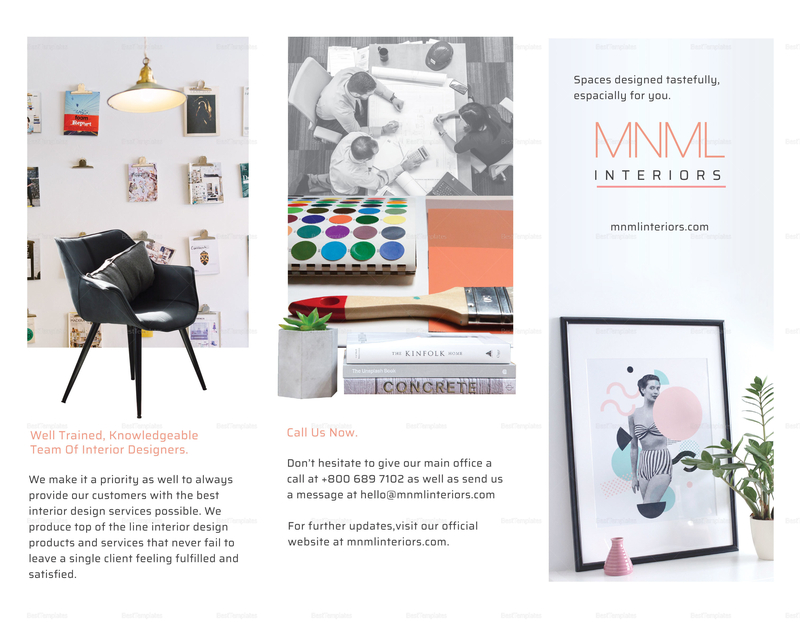 Bring your interior design business to greater heights with this Minimal Interior Brochure Template. 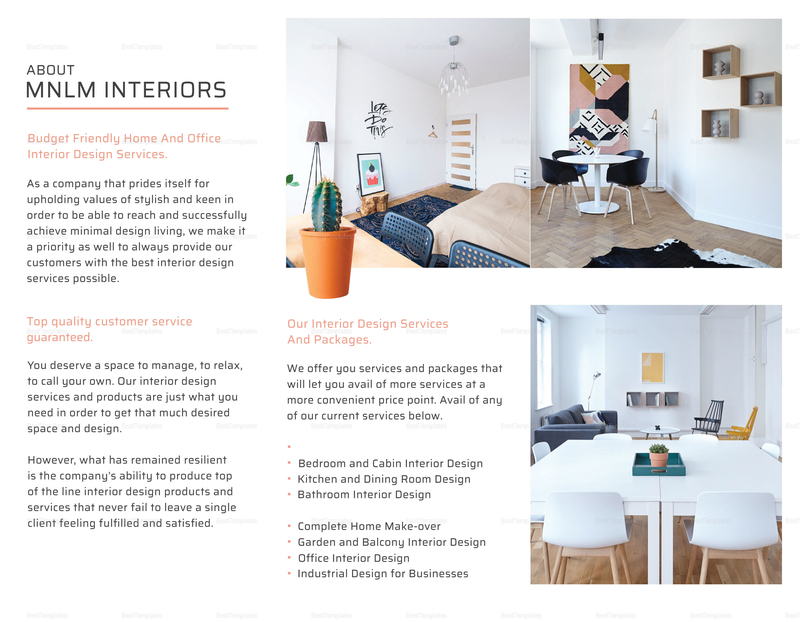 This fully customizable brochure with standard fonts and license works great for any interior design business. 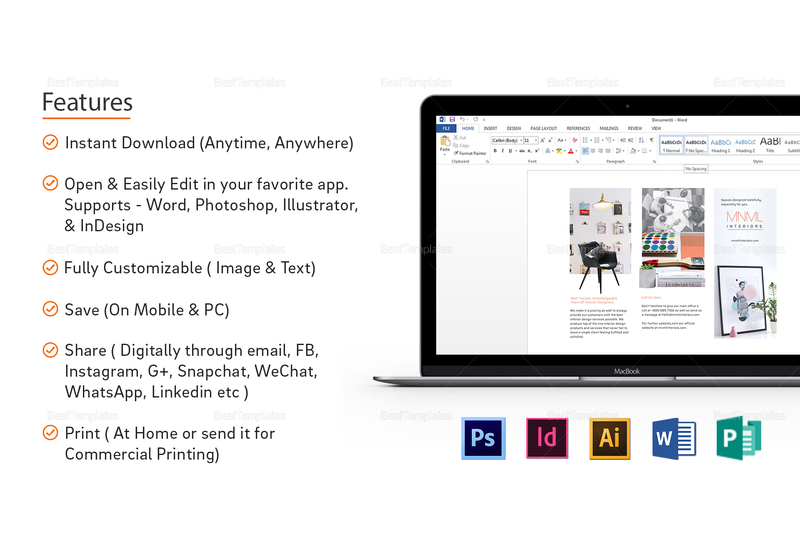 Easily edit with any chosen app or program that supports file formats for Illustrator, InDesign, Publisher, Photoshop, or MS Word. 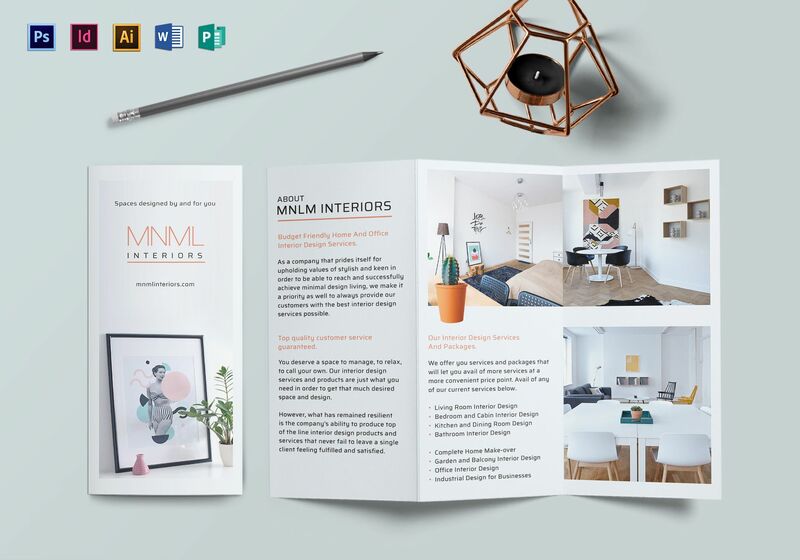 Print with convenience at home or simply send out for commercial printing.